Magazine Monday with Editor-in-Chief Susan Opel! Happy May and Happy Monday, my SCT friends! It seems like there’s so much to celebrate these days! My schedule has been jam packed for weeks it seems with various festive occasions. First came Easter, followed quickly by my birthday (YAY! ), and today my nephew turns 18 (how in the heck did THAT happen?). And later this week there’s Cinco de Mayo on Friday (tacos, please! ), and Saturday is the annual Run for the Roses at Churchill Downs for the Kentucky Derby (I have my hat ready!). "Cinco de Mayo is the perfect excuse to wear a Mexican inspired shirt, have a taco bar, tequila and cerveza (or margaritas, if that’s your thing!). I tossed in a Mexican flag last year, and voila – insta-celebration!" When I was a kid, my mom was always so great about making our lives fun, and if there was a reason to celebrate, she was all about that. I think that’s where I get my festive nature. She certainly didn’t do Pinterest-worthy celebrations (so much pressure these days! ), but we loved her little breaks from the norm, and it was a good way to learn about something new! "Even if you don’t know a thing about horse racing, the pageantry alone of the Kentucky Derby is worth a look. Those hats and all those GLORIOUS roses! And some pretty impressive horses, too." Now maybe you don’t celebrate Cinco de Mayo or participate in Kentucky Derby festivities, but I bet there’s something you WILL want to celebrate this coming Saturday! If it’s the first Saturday in May, you know it’s International Scrapbook Day, and of course, we love to have our very own holiday, don’t we?!? It’s the perfect excuse to embrace your love of memory keeping! Lock yourself in your craft room and immerse yourself in projects (let the kids and hubby fend for themselves!). 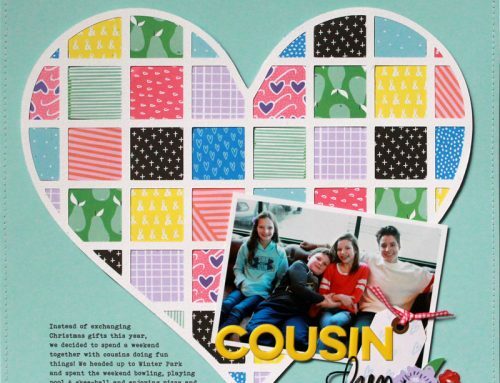 Get together with friends who love to scrapbook, too. Share tips and ideas and just have fun! Indulge yourself with a crafty shopping spree (whether online or in a store). Watch technique and how-to videos to inspire you! Go out and take pictures around your hometown, around your yard, around your house. Peruse social media for all kinds of inspiration. Visit us right here as WE celebrate all day long with inspiration and prizes! 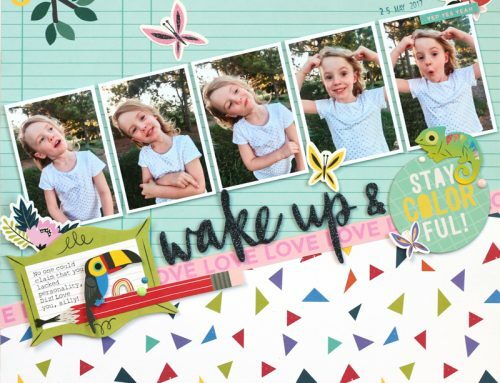 Make layouts that celebrate your life! 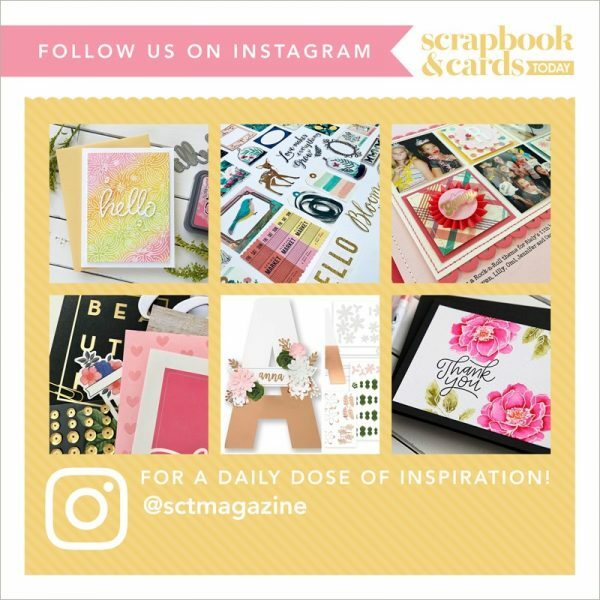 How do YOU plan to celebrate International Scrapbook Day? If you haven’t made any concrete plans just yet, you’ve got 5 days to cook up something fun! And just think! Only 158 days until World Card Making Day! 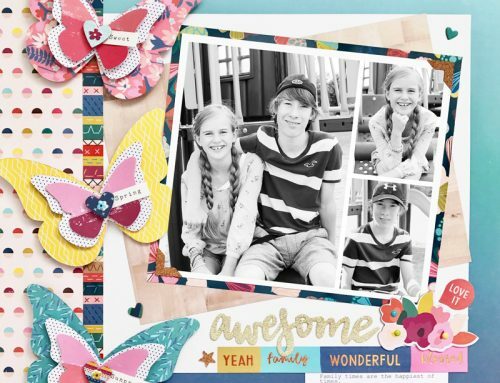 Here’s to festive celebrations, and especially here’s to International Scrapbook Day! So excited to celebrate NSD with my Crop & Create friends as we decided to get together between Toronto & Cornwall for another scrap booking weekend ? So excited to check out the blog as a group! Can’t wait for May 6th to arrive! I know it will be a fun and inspirational day! See you then! Busy weekend for me for Friday is my daughter’s 23rd Birthday. Of course we always do a cinco de mayo theme and have mexican food and the drive in theatre opens this weekend and she wants to go there for her birthday. Then of course I am joining you all for your online crop fun on Saturday! Super excited! Busy busy! Happy May to you Susan! After meeting you at CREATE last weekend, I can hear your voice as I read this! So wonderful to get to know the people behind the pictures! I will be attending a two-day crop at my local scrapbook store (Scrap-a-Latte). Yes, I am lucky to still have a local store. Don’t know how much shopping I will be doing since I broke the bank in Ohio! Hope you have a great week!